This SEO Strategy Guide will serve to break SEO into its most basic parts and help you understand how to use all of its elements to construct a successful SEO strategy for 2019 and beyond. One rather important new element to SEO you should take into account if you haven’t already is Google Rankbrain. Google Rankbrain is a new concept that you need to understand for when it comes to on-site SEO as well as off-site SEO and how it will shape both in the coming years. RankBrain is Google’s first machine learning algorithm and it measures how users interact with the results on the first page. It measures exactly what people click on the SERP (Search Engine Results Page) and whether or not they are satisfied with that result when they click through to the landing page. For example, if the user clicks on the 2nd result on the SERP, goes to that landing page, comes right back after a few seconds, and clicks on the 3rd result and stays on that page longer – Google could determine this page is better and more relevant and could move it up in SERP rankings. Backlinks, keywords, and other traditional signals are still important and content and links will still be the foundation of SEO in 2019. Nonetheless, RankBrain is quickly taking over and this year it will continue to do so. Google for the last few years has said that content and links are their #1 and #2 ranking factors. 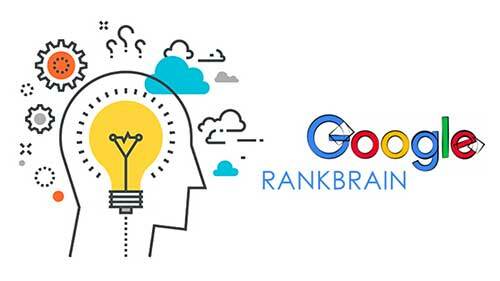 Google also now states that RankBrain is one of their “top 3” ranking signals. If you are just getting started, you might be asking yourself why is SEO so important? While paid advertising, social media, and other online platforms can generate traffic to websites, the majority of online traffic is driven by search engines. That’s right, most traffic comes from the organic results people click on when they search for something on Google. This is because organic search results cover more digital real estate, appear more credible to savvy searchers, and receive way more clicks than paid advertisements. For example, of all US searches, only ~2.8% of people click on paid advertisements. As such, SEO has ~20X more traffic opportunity than PPC on both mobile and desktop. SEO is also one of the only online marketing channels that, when set up correctly, can continue to pay dividends over time. If you provide a solid piece of evergreen content that deserves to rank for the right keywords, your traffic can snowball over time, whereas advertising needs continuous funding to send traffic to your site. If you take a look at today’s SERPs you will see that they are filled with more advertising and more dynamic organic results formats (called “SERP features”) than you’ve ever seen before. Some examples of SERP features are Rich Snippets, Featured Snippets (or answer boxes), People Also Ask boxes, Image Carousels, Knowledge Graph box, and others. And, new SERP features continue to emerge, driven largely by what people are seeking and how Google believes its best to answer them. • Make your pages primarily for your users, not for search engines. • Avoid tricks intended to improve search engine rankings. Basically, you should think about what makes your website unique, valuable, or engaging and strive to make your website stand out from others in your industry. When it comes to SEO specifics you have to understand that Google uses more than 200 ranking factors to rank pages on the SERP. Because optimizing and complying with all of them is time-consuming and very difficult, your SEO strategies should be based on the main, high-impact, and achievable tactics for 2019. Now that we know what to focus on, let’s get to it! SEO can be broken into 2 components, On-site SEO and Off-site SEO. 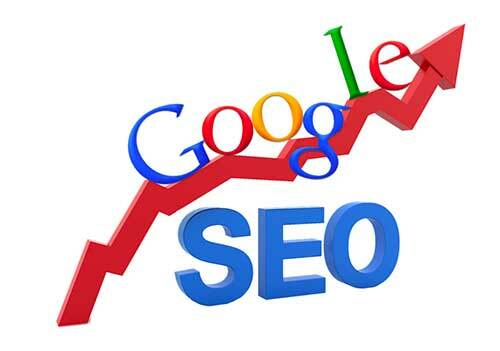 On-site SEO is the process of making your website search engine friendly. And in order to begin, you need to know where you stand and what things you need to improve. To do so, you need to do a thorough Website SEO audit. 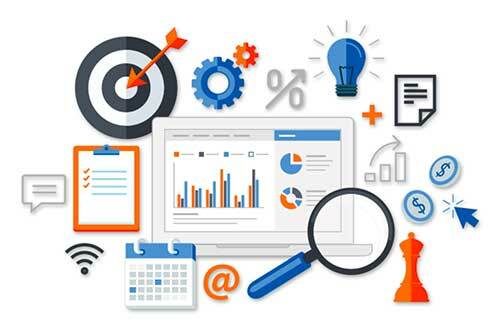 A Website SEO Audit is an evaluation of a website that grades the site for its ability to appear in search engine results pages (SERPs). This is not a one-time thing, you should continue to regularly evaluate your website’s performance going forward. • Compare yourselves to competitors and use your findings to your advantage. • Identify what changes need to be made (and how to change them). • Get a general overview of the SEO efficiency of your site. • Uncover your website’s weaknesses and fix them. • Set some expectations for your website’s future. • Make your content consistent across desktop and mobile. Basically, your desktop and mobile versions should be very similar in terms of layout and content. • Must ensure a positive user experience through consistency. This is fundamental in keeping your users on-site and engaged. • Using responsive design should ensure that is done correctly. A website that is not responsive will most certainly get penalized on the SERP. Site Usability is another important factor in SEO that deals with UX. A site that’s difficult to use or to navigate can hurt rankings indirectly by reducing users’ time on site, pages viewed, and bounce rate (in other words, RankBrain ranking factors). • Utilize a fully responsive design. As we mentioned before, your design should be fully responsive and look good on any device. • Make sure your content can be read on all mobile device without needing to zoom in. Thus, your texts should be large enough and have enough spacing so as to not look cluttered and difficult to read. • Make sure you have easy-to-tap navigation and links on your website. This goes without saying, you need to make menu items, CTA buttons, links, and other navigation elements easy to spot and use. 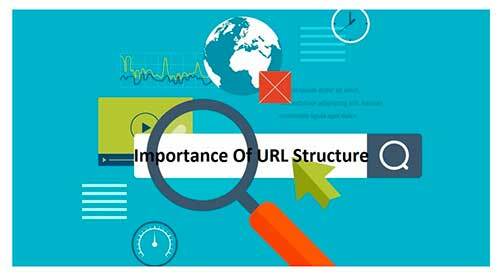 URL length is another component to consider if you want to improve your SEO. The reason is that excessively long URLs can hurt a page’s search engine visibility. Why? Because simple URLs convey content information while really long ones get cut off in the SERP. Avoid using long URLs with unnecessary parameters or generic page names. Create a simple directory structure that organizes your content. If you find that people are accessing the same content through multiple URLs, setting up a 301 redirect from non-preferred URLs to the dominant URL is a good solution for this. You may also use canonical URL or use the rel=”canonical” link element if you can’t redirect to specify which URL you want to rank in Google. Security is critically important these days for SEO purposes because keeping internet connections secure and safeguarding sensitive data is of utmost importance for anyone with a company and website. Overall, encryption has been confirmed by Google to be a strong ranking factor. Encryption means that a website is secure, which can be seen by the addition of an “s” at the end of the “http” part of a URL. With the increase in technology from hackers and identity thieves, Google is making an effort to ensure its users are protected from these malicious intruders by making website security a key search ranking factor. 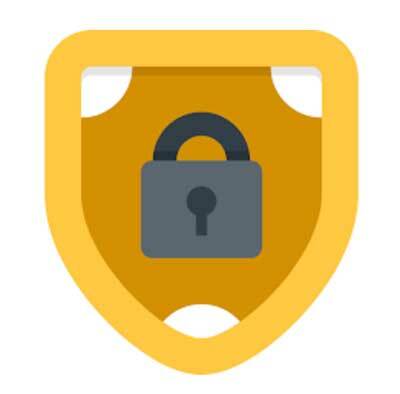 Secured sites protect a user’s connection and ensure a user’s activity cannot be tracked or their information hacked. In this respect, you have probably heard a lot about HTTPS and SSL. It is important that your website is using HTTPS. HTTPS is a protocol where encrypted HTTP data is transferred over a secure connection and by doing so maintain the privacy and integrity of that data. You will also need to make sure you have an SSL Certificate to secure your website domain. You can get it for free or for relatively cheap these days. Google cares how fast your website loads on desktop and mobile and they recommend that your site loads in under 3 second for mobile users. Statistically, the biggest mistakes website owners make that increase page-load time are: using huge images, using large-volume multimedia, or other heavy design elements that make the site slow. Another factor to consider is your server location because it influences where your site ranks in different geographical regions based on how quickly it loads at that location (Miami vs. Kuala Lumpur for example). 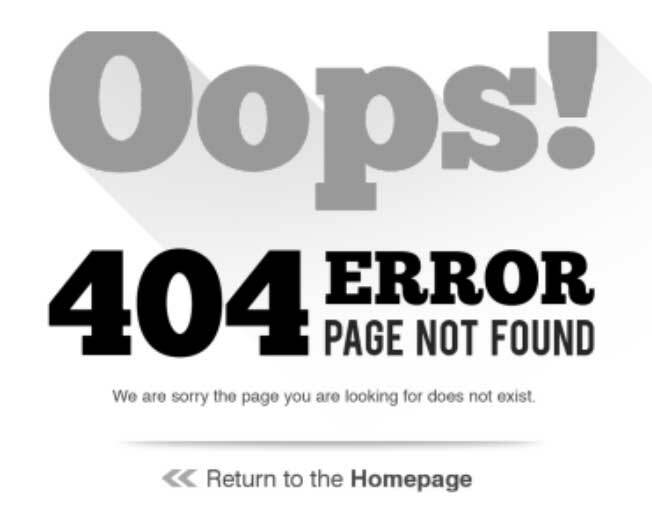 • They make for bad user experience – When users click on links and reach dead-end 404 errors, they get frustrated leave quickly and may never come back. By spending less time on your website this results in lower Page Authority rankings and tells Google that your website is not giving users what they are searching for. • They devalue your SEO efforts – broken links restrict the flow of link equity throughout your website, which impacts rankings negatively. • Too many broken links on a page look terrible and may give the impression that your website has been neglected or abandoned. You can review all the links on your website using certain WP Plugins or software such as Screaming Frog. In a nutshell, sitemaps enhance the ranking of a website in search engine results, thus boosting your SEO efforts. The Robots.txt file tells search robots which pages they should not be crawling or indexing. What does this have to do with SEO? The robots.txt file prevents extra or sensitive information from being crawled and indexed. This will ensure that your website is being indexed with only the information that you want your users to see. Content is king. You have probably heard that before and many times over. Content is why users visit and why they convert (or don’t). Content is part of every step in your funnel. From the first keyword to the final conversion. • Who are you talking to? Why do they care? • What are the types of keywords you want to rank for? What pages target which one? • How do you build links with authority and ranking potential? • What do you want to publish? When? And how will it be promoted? • What topics, formats, and collaborators support lead generation? With content marketing, you want to win traffic rather than buy it. The aim of your content marketing should be to engage your audience and build relationships, which will ultimately boost sales in the long term. • Build brand awareness, trust, and loyalty – people consuming your content will start to build an impression of your brand as authoritative and trustworthy. • Reach an audience who may avoid ads – using content rather than traditional advertising can help you reach potential customers who may use ad blocking software or actively avoid or ignore traditional advertising. • Increase traffic and conversions – quality content draws your audience to your website, boosting web traffic. You can then persuade them to register, download a whitepaper, download a product sheet, or ask for a demo (basically any conversions you are seeking). • Support your other marketing tactics – great content is important for the success of many other marketing tactics, such as PPC, social media, and public relations. • SEO can’t work without content. It needs keywords, words, and articles and content marketing supplies just that. 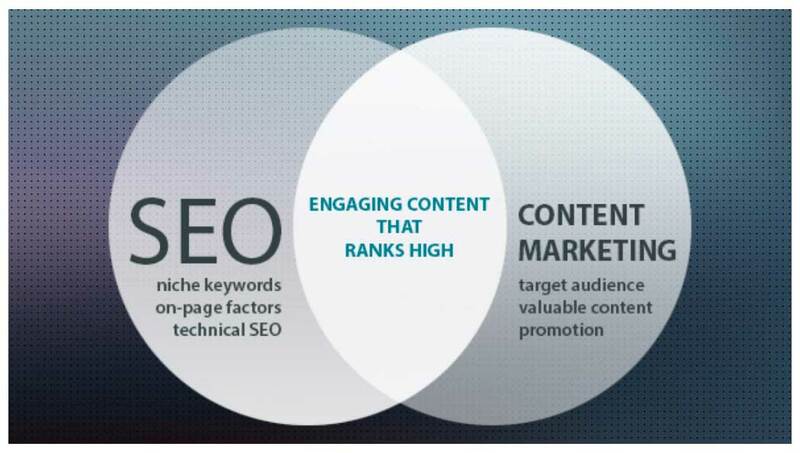 You should think of content marketing as a practical application of SEO in the form of content. • SEO is based on keywords. You should dedicate some time to researching keywords and then apply these keywords by producing content which is written for humans to enjoy and not web crawlers. • SEO needs backlinks. Having a high-authority website include a link to your post or site is a huge boost. Keyword research is one of the most important activities when you are building out your content strategy. Ranking for the right keywords should be your main goal. You might have a list of keywords you want to target and want to utilize because you think it would bring you tons of traffic. But stop and think about how often are those keywords are actually searched. It’s important to understanding search volume when you are doing your keyword research. • The higher the search volume, the greater the competition and effort required to achieve organic ranking success. • Too low: you risk not drawing any searchers to your site. • You should target highly specific, lower competition search terms: long-tail keywords. Long-tail keywords with lower search volume convert better because searchers are more specific and intentional in their searches. For example, a person searching for “shoes” is probably just browsing. Whereas, someone searching for “best price red women’s size 7 running shoe,” is ready to buy. The more specific you are the better your chances of being ranked well for those specific long-tail keywords. 1. Determine what long tail keywords you want to rank for by creating a list. Then, take that list of keywords and group them in similar topic clusters. • Is the content from a well-known website or source? • Are the landing pages for those results image or video heavy? • Is the content long-form or short and concise? • Is the content formatted in lists, bullets, or paragraphs? • Is the content new or old? When it comes to keyword optimization there are several things you can do to help you with your content efforts. Here are 3 to take into account. • Add keyword in URL: This is a relevancy signal. Having your keyword in the URL helps signify to the user what that landing page will contain based on that. • Add keywords in Title Tag and H1 Tag: Including relevant Title and H1 Tags with keywords is incredibly important for SEO because it helps Google understand what your website is about and what is most important on that page. Where a lot of people go wrong is omitting Title Tags on their pages, or using generic tags which don’t actually describe what the specific webpage is about. You have to stay on top of this and implement it on every page you can. • Keyword Density: Google still uses it to determine the topic of a webpage. But going overboard can hurt you. Most SEO experts consider the optimum keyword density to be 1 to 3 percent. More could be considered keyword stuffing. In order to know your competition and market, you need to have the right tools that will analyze your keywords and content, and give you the answers you need. • Moz Keyword Explorer – Moz Keyword Explorer tool extracts accurate search volume data, keyword difficulty, and keyword opportunity metrics by using live clickstream data. • Google Keyword Planner – Google’s AdWords Keyword Planner has historically been the most common starting point for SEO keyword research. However, Keyword Planner does restrict search volume data by lumping keywords together into large search volume range buckets. • Google Trends – Google’s keyword trend tool is great for finding seasonal keyword fluctuations. For example, “funny halloween costume ideas” will peak in the weeks before Halloween. • AnswerThePublic – This free tool populates commonly searched for questions around a specific keyword. You can use this tool in tandem with another free tool, Keywords Everywhere, to prioritize AnswerThePublic ’s suggestions by search volume. • SpyFu Keyword Research Tool – Provides some really neat competitive keyword data. • SEMrush – This tool provides filters that let you weed out the highly competitive keywords that aren’t worth your time. In every keyword report, there are two helpful metrics that measure competition: Keyword Difficulty for SEO and Competitive Density for PPC. • Ubersuggest – Provides good data on keywords. From volume to seasonality, to cost per click data, Ubersuggest keyword tool will show all that data for free. As we mentioned before, URL length and structure are important. URLs that indicate what the content on the page is about and helps improve the user experience. And as we covered, keywords used in a URL also act as a ranking factor. Lastly, well-written URLs can serve as their own anchor text when copied and pasted as links in forums, blogs, social media networks, or other online sources. Page titles tell people and search engines the topic of the webpage. They also tell search engines an estimate of how relevant a page is to a searcher’s query. For this reason, Page titles should be as accurate and relevant to your page’s content as possible. As for the Optimal title length? Google typically displays the first 50–60 characters of a title tag. If you keep your titles under 60 characters, you can expect about 90% of your titles to display properly. According to Moz’s testing and experience, keywords closer to the beginning of your title tag should have more impact on search rankings. 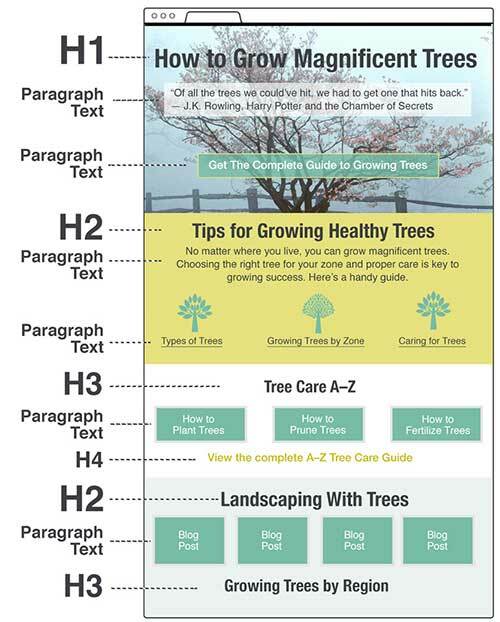 Aside from Title tags – H1, H2, H3 tags are other things to consider when creating your content. These tags should provide titles that represent the overall structure and message of your webpage. When it comes to adding the keyword in the meta description, Google doesn’t use the meta description tag as a direct ranking signal anymore. 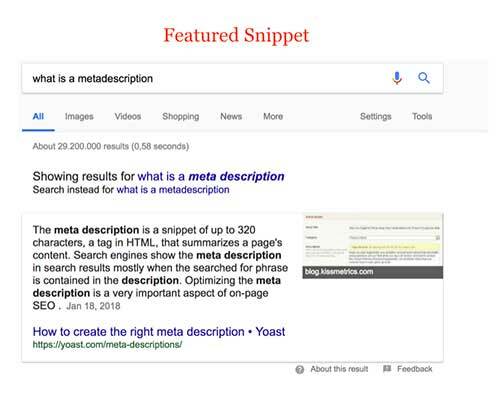 Research shows that roughly 25 percent of websites have no meta descriptions at all, so ensuring you have them on all of your pages can be beneficial for you in helping you rank better for that page. One thing to keep in mind when you write your meta description is its length. The actual length displayed on the SERP page depends on how useful or appropriate Google considers your description to be. Nonetheless, try making your meta description between 155 and 160 characters long so it won’t get cut off if displayed verbatim. 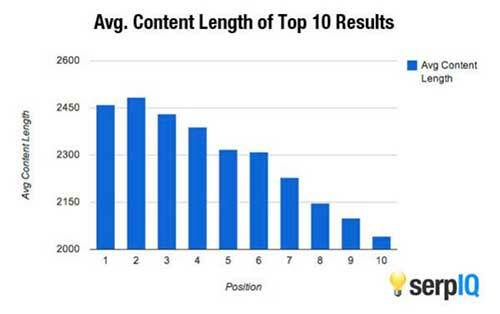 When it comes to content length, studies show that longer content does indeed produce higher search rankings. • The average content length for a webpage in the top 10 results for any keyword on Google has at least 2,000 words. • A page that covers a keyword topic in-depth shows a strong correlation with its Google ranking. • Long-form content usually also fosters more backlinks than shorter content. Aside from having the keyword in the Title Tag, H1 Tag and in the meta description, you need to also have it in the first 100 words because this helps Google understand what your page is all about. Although it may not be as helpful for crawlers as it was in the past, it certainly can’t hurt to place it in the first 100 words and help make the connection between the content and title for your readers a lot more seamless. If you can’t capture your reader within the first 100 words, your bounce rate and time on page will suffer a great deal. 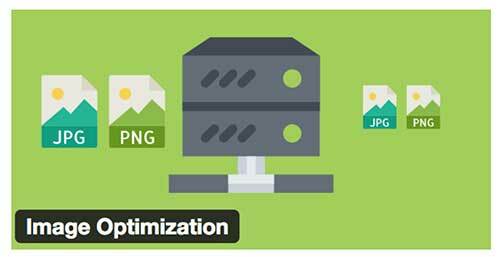 Optimizing images as an important element of your on-site SEO strategy. 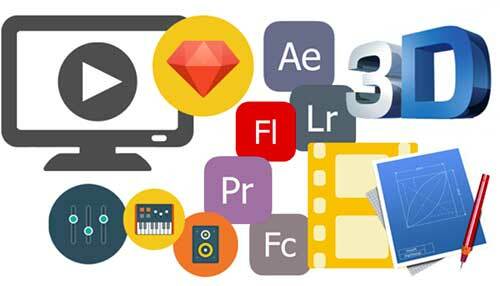 • Reducing the file size for faster loading times. Images are one of the most common bandwidth hogs on the web. Many websites use huge images and then scale them down with CSS. What they don’t realize is that the browser still loads them at the full image size. • Choosing a descriptive file name that includes keywords you’re trying to rank for. You need to make sure to avoid using generic file names like “image1.jpg”, “pic.gif”, “1.jpg”. You should also avoid writing extremely lengthy file names and stuffing keywords into alt text or copying and pasting entire sentences in the descriptions. • Adding an alt tag helps search engines understand what the image is about. Alt tags are useful and should be implemented. Search engines are very concerned about user experience, and images without alt tags can lead to a higher bounce rate and, as a result, they might be one cause of poor search engine performance. Both internal and external links are important for your site because internal links pass their link value from page to page and external links that provide trustworthy and informative external links help improve the credibility of your website. External links that link out to other, relevant pages on the topic you are discussing in your blog posts, helps Google determine its topic further. It also provides a good user experience by positioning your content as a valuable resource. If you do have external links, they should open on a new browser window. Internal links allow search engines to find and crawl other pages on your site. They also show semantic relations between various pages, helping to determine its relevance to the search query better. As a rule, you should try to include at least 2-4 internal links per blog post. Readability is an important (although more indirect) factor because by writing in an easy-to-read way, your users will likely spend more time on that webpage. Text that isn’t nice and easy to read will give your audience a bad user experience. Considering that most Google searches are now done on mobile devices, readability is more important for SEO than ever before. 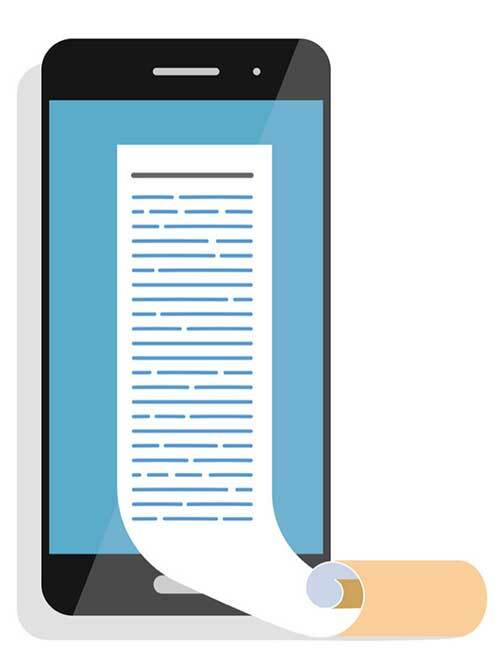 You should make your content really easy to read on mobile phones. • Use lots of “white” space so users focus more on the content and not the clutter of text. • Use at least 14px to 16px fonts. • Use short paragraphs (1-2 lines per paragraph). • Go with a line length between 50-60 characters. • Make sure there’s a lot of contrast between text and background and use dark letters (people use phones outside in the daytime, which can make low-contrast text harder to read). Multimedia, although not a requirement, can still be an important contributor to your SEO strategy. Multimedia elements like videos, diagrams, audio players can signal your page’s quality and keep users on a page for longer. And in turn, it signals that they find the content valuable and worth perusing. When you can, you should use multimedia effectively. Video, images, and interactive content will improve the user experience on your website and, as a result, drive more traffic. This is because they act as a content quality signal. Several industry studies found a correlation between multimedia and rankings. What other SEO advantages does multimedia offer? Multimedia enables that type of content to be found through search engines as well – for example, video or images may show up through separate searches and divert traffic back to your site. Competitor analysis is fundamental to creating a link-building strategy. By learning which tactics are securing links for the competition, which pages are driving search traffic, anchor text distribution, the competitive landscape, and other factors, you can have a solid understanding of where you stand and how you can improve. • Niche insight: linking environment, competitive landscape, potential link opportunities. • Competitor tactics: sponsorships/partnerships, blogger outreach, affiliate marketing, guest posting, etc. • Content analysis: competitor strategies, popular topics, and formats, content gaps. You will need to create an analysis report about your competitors that will provide valuable insight and will inform strategy development to help you succeed. In the end, it is important to understand your site and your competitors’ current link portfolio. Once you have conducted your backlink analysis you will need to craft your link building strategy. 1. Unlinked brand mentions. One of the easiest ways you can get a link is by figuring out who is mentioning your brand or your company and not linking to you. It’s an easy way to reach out and asking them to link from that content piece to your landing page. 2. Guest blogging. This is still one of the best avenues for driving new traffic to your site. It’s relevant, industry-specific, and gives you the opportunity to brand your company as an industry expert and thought leader. 3. Mention influencers in your post. When you mention a popular influencer in your post, you get more links because the influencer that you mentioned will most likely share it. That will result in more links. Another option is to reach out to an influencer or influencers in your industry, tell them the topic of your content, and ask if they would be willing to provide a point of view or quote. If they agree to send the post and ask for them to share. You can use www.buzzstream.com for this task to find influencers and their contact info. 4. Creating cornerstone assets such as data and research. Original data and research is an efficient link building method a solid 70% of the time – making it the #1 most efficient link building technique companies use. You have been doing this and should continue it in 2019. You should go into your content pieces and pull out at least 20 snippets. Then share the snippets on social media over the next several weeks or even months. If the content does well, continue using the snippets. 6. HARO (Help a Reporter Out). Reporters will notify you of any questions or information they’re seeking for an article via this email service. So not only is it just good general PR, but it’s a great opportunity for you to get a link. 7. Link roundups. Link roundups are curated updates from all sorts of websites and bloggers that link out to their favorite content during a given time period. In this case, you need to find these people that link out to the sort of content you create. Once you find the person/website with the roundups you can reach out them and ask for for a link or some other form of collaboration. 8. Profile links. Profile link building refers to websites where users can sign up and create a public profile, for the main purpose of dropping a link in that profile. The link will help funnel link juice from the profile creation site to yours. In theory, if the profile link building site is of high quality and authority, then you can create a high-quality backlink. Profile link creation is a tactic used by SEO professionals in order to gain dofollow (vs. nofollow) backlinks from respected websites. In profile link creation, you usually go to a website and create an account. Then on the profile section, the website links will be added. You can use tools like Moz to SEMrush to analyze the quality and domain authority of those websites. Search engines favor websites with a strong social presence. Your Linkedin posts or Tweets can make it to Google organic search results, which is a great opportunity to drive extra traffic. Google says it treats social posts (that are open for indexing) just like any other web pages. So, social media does impact your SEO. • Attract social links and shares with quality content: make content worth sharing because it’s informative, educational or plain awesome. • Make it easy to share your content: make sure your pages have social buttons, check how the image/message is automatically configured to the post people share. 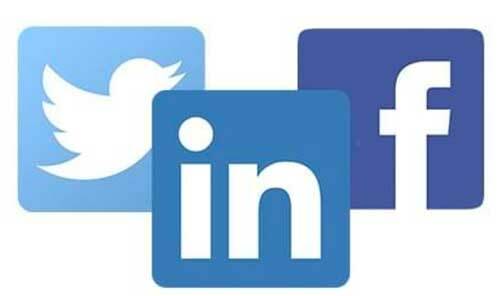 • Communicate it with your employees: have them help share your content on their social networks to create more reach. When crafting and conducting your SEO strategy it is very important to stay on top of and monitor results. There are tons of tools you can use and through them, you can track and analyze many aspects of your SEO efforts, see the results, and stay up-to-date with any new changes. That allows you to be informed, be ready to react fast to any updates or changes and continue to optimize at all times. Thankfully, both Google Analytics, Google Search Console, SEMRush and a few other tools will help you put that all together for you to analyze. The digital marketing world continues to evolve. It won’t be too long before SEO changes again with voice search and artificial intelligence making more of an impact. As long as you remember what is important – the user – new changes won’t affect you too much. The technical parts of SEO, such as using keywords and link building are just additions that can make what you already have better. For the remainder of 2019 and beyond, you might need to pay a little attention to voice search as it is growing fast. 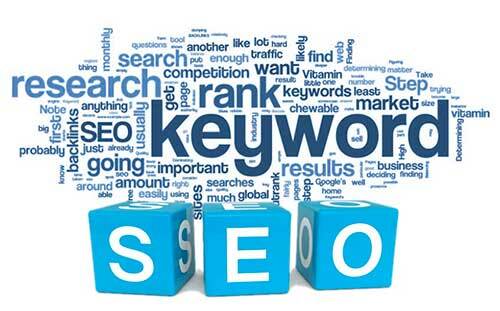 Focusing your SEO efforts on long-tailed keywords will benefit you. RankBrain helps Google interpret long tail queries to bring the searcher results. Using more long tail keywords in 2019 can help increase your conversion rate and help adapt to voice search. Also, behavior and UX signals are becoming a much more powerful metric for Google and RankBrain is just the start. 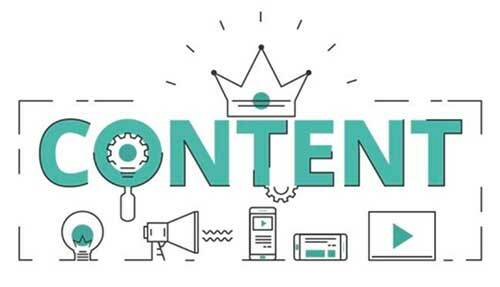 Your content has to be extremely relevant if you want to maintain first page rankings. SEO is a long game. 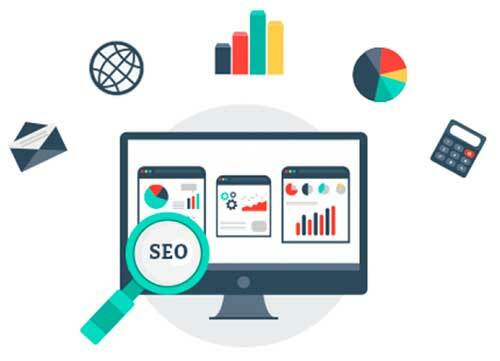 It is very important to keep on eye on trends and new developments in SEO as it is always shifting and you can expect even more updates and changes to come. There is no “secret formula” to ranking in Google’s search results. Google ranks pages at the top of the SERP because it has determined they are the best answers to the searcher’s questions. You have to always remember that your pages have to provide value to searchers and be better than any other page Google is currently serving as the answer to that particular query. Lastly, the benefits of SEO aren’t immediate. While there are things you can do that bring an immediate effect, sometimes it can take up to six to nine months before you see results. Very thorough and well-crafted SEO guide to follow. Cheers!